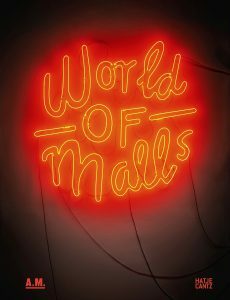 The catalogue World of Malls is devoted to a type of building that was invented in the United States just less than sixty years ago and quickly spread throughout the world. Due to urban planning’s increasing orientation toward the automobile, the mall became a substitute for lost urbanity. Yet what direction is the development of the shopping mall taking today? On the one hand, there continue to be spectacular new openings in America, Asia, the United Arab Emirates, and Europe. At the same time, however, many malls are empty, and some are being converted and repurposed. There is hardly any other building typology that is being discussed as controversially: does the shopping mall mean the death of the city, or does it stimulate its revitalization? In their essays, urban planners, economists, and architectural historians examine the transformation processes of the shopping mall from the twentieth to the twenty-first century. This publication is available in German and English language.